How much time do you have in your life? I’m guessing not much. It is a truism that things expand to fit the amount of time we have, we never seem to gain any time. But sometimes in our busy, busy lives, we need to stop, take stock and listen. This coming Sunday is the one before lent, which starts with Ash Wednesday on 5th March. So this is an opportunity to prepare, to think how we are going to meet God anew in the journey towards Easter, to pause and reflect. 12 The Lord said to Moses, “Come up on the mountain and stay here for a while. 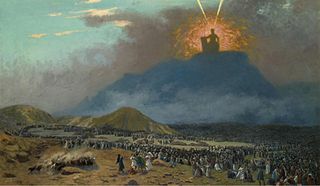 I will give you the two flat stones on which I have written the laws that my people must obey.” 13 Moses and Joshua his assistant got ready, then Moses started up the mountain to meet with God. 15 When Moses went up on Mount Sinai, a cloud covered it, 16 and the bright glory of the Lord came down and stayed there. The cloud covered the mountain for six days, and on the seventh day the Lord told Moses to come into the cloud. 17-18 Moses did so and stayed there forty days and nights. To the people, the Lord’s glory looked like a blazing fire on top of the mountain. God invites Moses to join him on the mountain, in his holy place. But this isn’t for a jolly, a rest or just a special time with God (though undoubtedly it would have been that! ), this is for Moses to hear God’s word, not just for himself, but for all the people. Now, I’m sure God could have given his word to Moses where he was, without bringing him up the mountain, but maybe Moses wouldn’t have heard it in quite the same way. Sometimes it is necessary to draw apart to hear what God is really saying; to intentionally focus on him with no distractions; to be where God is, alone with him. And so it is with us. Yes we can hear God in the everyday, and actually that is necessary, but sometimes we need to step apart, to specifically put aside some time and space to be with God, to hear what he is saying – not always just for ourselves. Lent is an opportunity to take that time. Whatever we do, or don’t do, during lent, it is an opportunity to set aside purposeful and intentional time with God. If this isn’t the right time for you, and it may not be, then there needs to be a time to set aside, to have the space to listen purposefully to God. Taking time out to listen to God can be scary – after all who knows what he will say or ask of us? But it is vital for our well-being and our relationship with him. What can I do, to take time out to listen to, and really hear, what God is saying? to hear what you are saying. I like what Dorothy says too about however hard it is to do what God says, it’s so much better than NOT doing so. I have found that when I don’t do what He says, God takes me full circle and brings me back to the same issue again and again so that I can ‘practice’ until I do as I’m told.